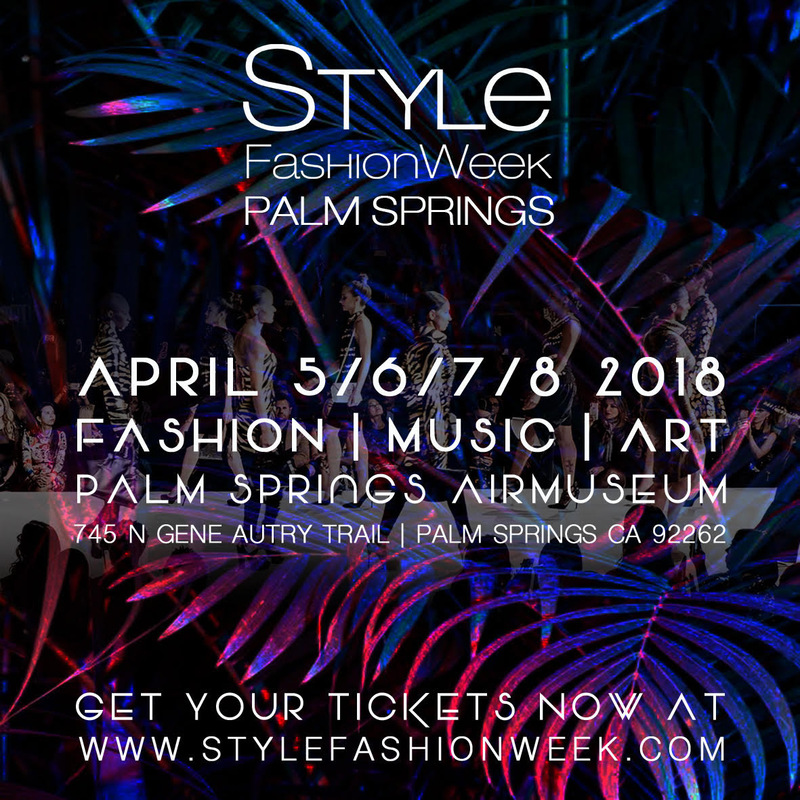 Join Style Fashion Week at the Palm Springs Air Museum onApril 5-8th, 2018 for an exclusive viewing of Mint Swim, Marco Marco, Richard Hallmarq, Bohimi, Bahmardi, Andre Emery, David Tupaz and others. Enjoy music performances presented by Vezt music app and stay hydrated with Essentia water. Sip Notorious Pink Rosé, as you explore and shop our expansive marketplace featuring local and international artwork, beauty brands, pop-up shops and more.